Sunglasses are an important summer accessory, but who wants to pay a fortune for a pair that is going to get lost or broken. Am I right? 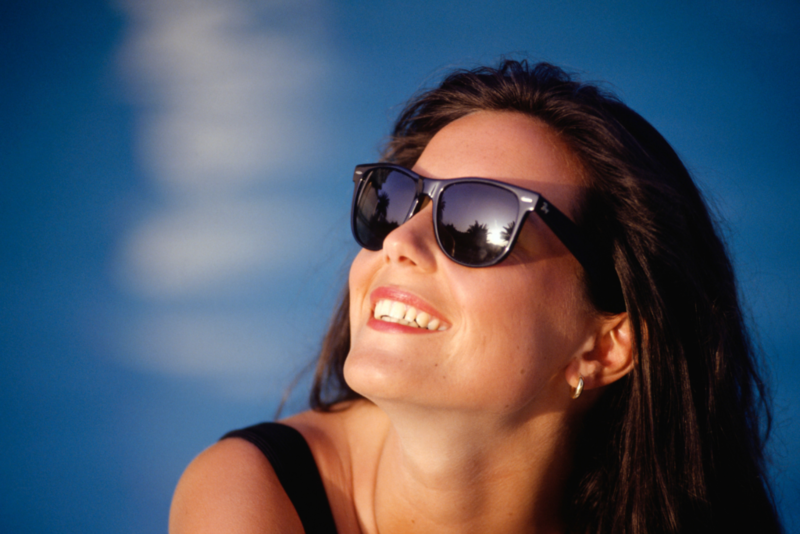 Don’t worry, there are some great cheaper alternatives to expensive sunglasses! This is the next post in my popular “cheaper alternatives” series. In this series, I look at popular brands and find cheaper alternatives. Today’s topic is cheaper alternatives to Ray-Ban sunglasses. 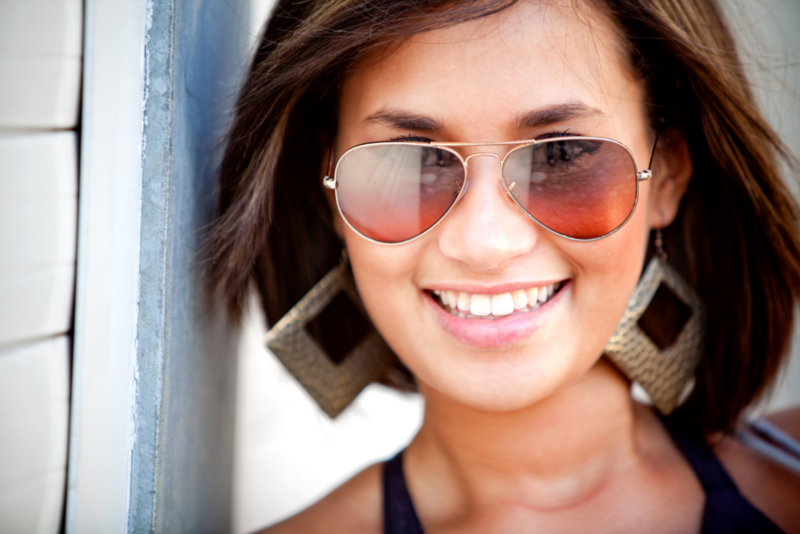 Ray-Bans have become so common that people often have trouble even thinking of any other sunglass brand! 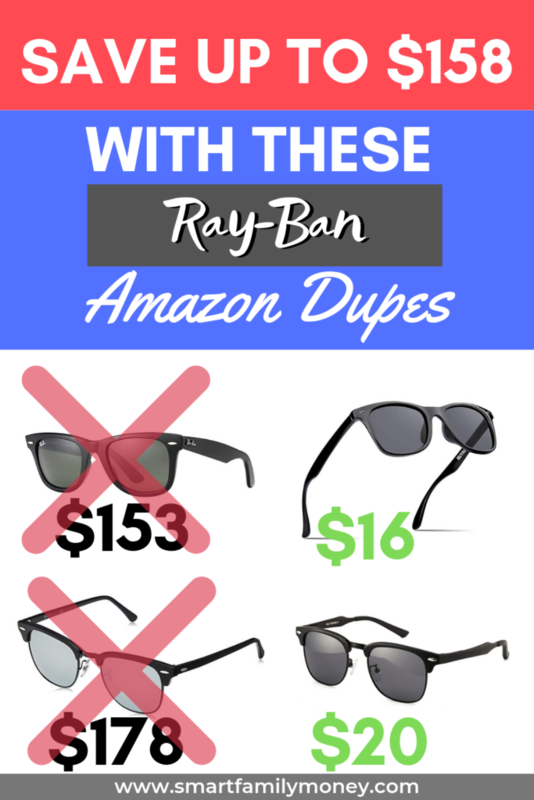 I’ll look at alternatives (or some people might say Ray-Ban dupes, Ray-Ban lookalikes, or Ray-Ban knockoffs) of the four most popular styles: Aviator, Wayfarer, Clubmaster, and Caravan. High review ratings from customers that check out with Fakespot. There are many sunglasses with fake reviews, so be careful! There are plenty of great sunglasses that are MUCH cheaper than Ray-Ban’s price of $150+. When most people think of Ray-Bans, they think of Wayfarers. They’re classically cool and they’ve been around for a very long time. Fortunately, there MANY choices of cheaper wayfarer sunglasses. FEIDU Wayfarer Sunglasses are currently very popular on Amazon. Dollger Wayfarer Sunglasses are a highly-rated, inexpensive option. Luomon Aviator Sunglasses have good reviews and come in a men’s and ladies’ version. VOPOLAR Aviator Sunglasses are a very inexpensive choice. Dollger clubmaster sunglasses are a nice, inexpensive option. Luenx Clubmaster sunglasses are quite attractive and come with a nice case. AO Original Pilots are often mentioned as a high-quality cheaper alternative to Ray-Ban Caravans. Weluk Men’s Pilot Aviators are an even cheaper option. Lot Fancy is a very inexpensive alternative to Ray-Ban Caravan sunglasses that still has good reviews. If you enjoyed this post, check out my other cheaper alternatives posts for more money-saving ideas. If you’re a frugal fashionista, you might enjoy my posts about cheaper alternatives to Tieks & Rothy’s, cheaper alternatives to Sperry boat shoes, or Lululemon dupes. Are These Ray-Ban Alternatives Any Good? Have you tried any of these Ray-Ban lookalikes? Do you like them? Would you recommend them? Please let me know in the comments!